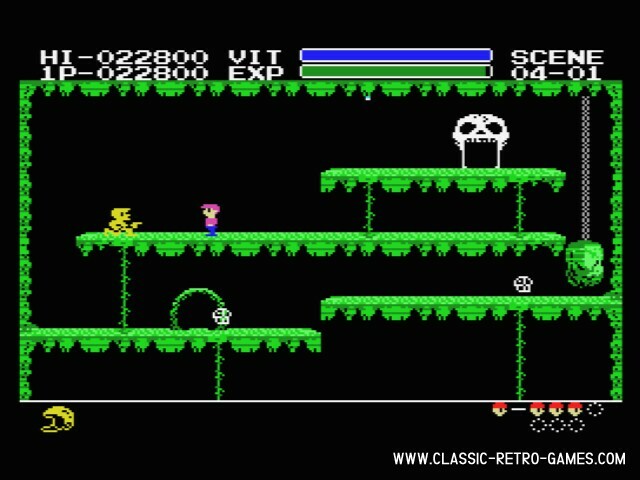 This remake of the 1986 MSX classic by Konami was made by BrainGames. 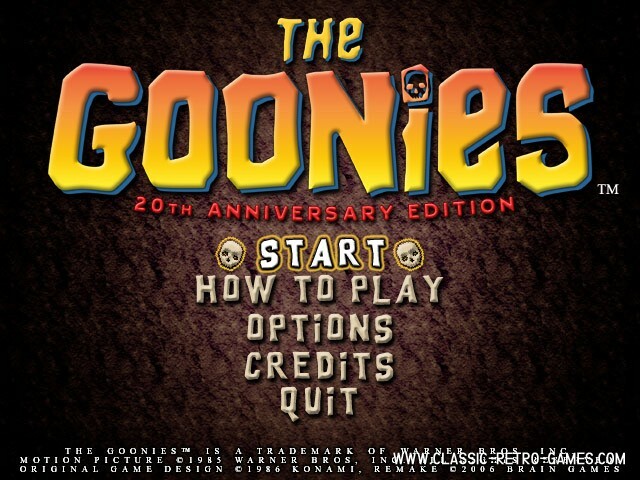 The game is based on the movie "The Goonies" and also features the soundtrack by Cindy Lauper. 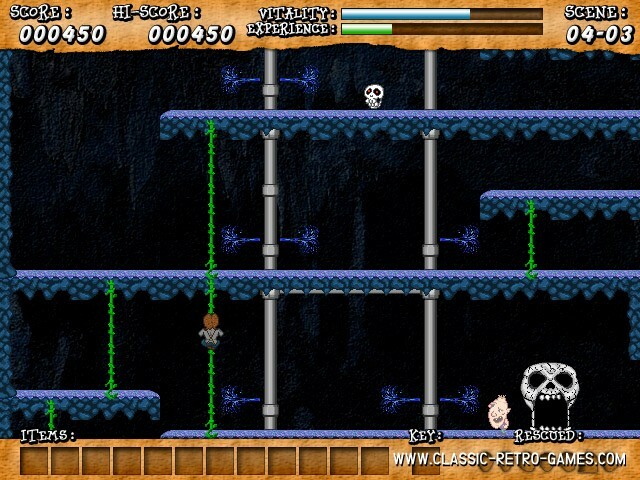 In this game you play Sloth and you are to rescue all of the Goonies and find the treasure. 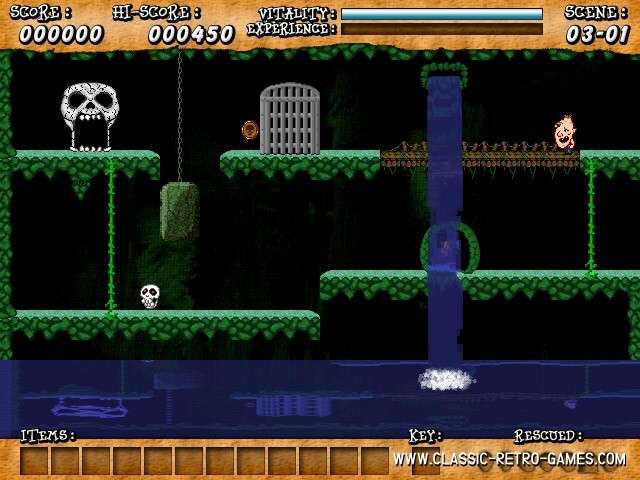 Currently rated: 4.3 / 5 stars by 28 gamers.